The key to life is balance. But menopause symptoms can make you feel like life has been turned upside down. Help make things right with Meta-Balance by Thorne Research. 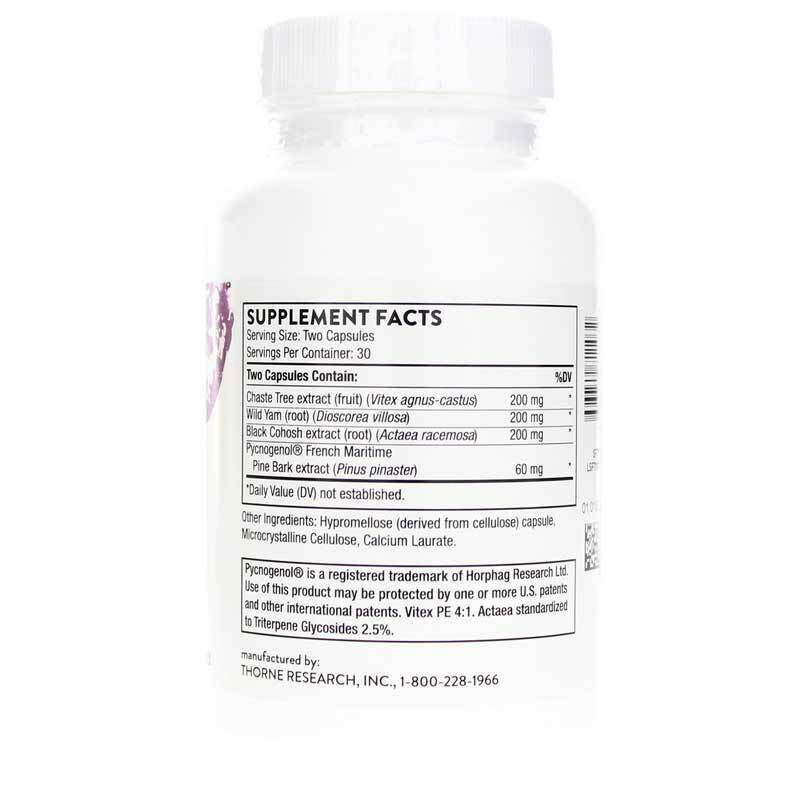 Meta-Balance is a natural supplement designed to support normal hormone levels for better control of menopause symptoms. The body's adjustment to menopause can be full of highs and lows. As hormone levels fluctuate, many women experience symptoms such as mood swings, hot flashes, night sweats, insomnia, poor memory, and more. And for some women, these symptoms can begin even before menopause officially does. 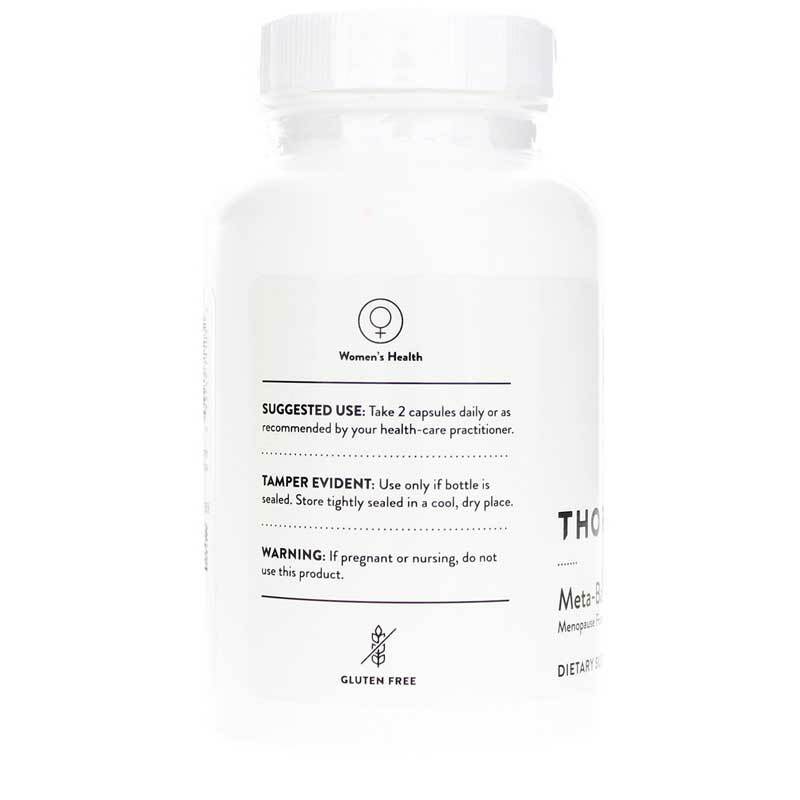 Using time-tested extracts from chaste tree, dong quai, and black cohosh to balance hormones, Meta-Balance's ingredients provide women a natural option for addressing symptoms. These components have estrogen and progesterone-like substances, but not actual hormones. This allows them to have similar effects without the risks associated with some hormone-based products. 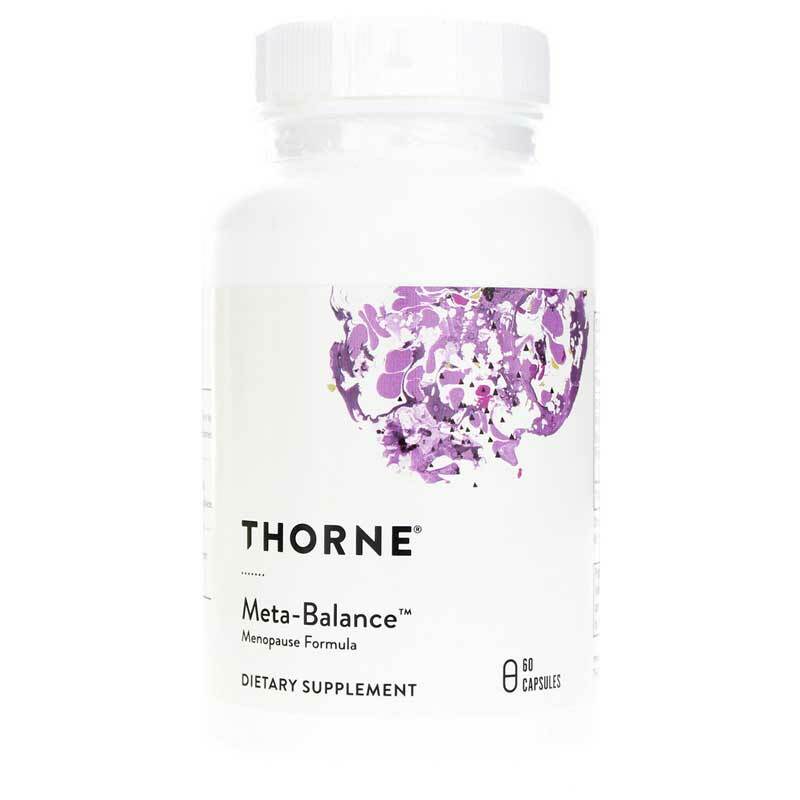 Meta-Balance is specially designed to be taken along with Thorne Research's Meta-Fem, a multiple vitamin-mineral uniquely formulated for women. With a proper balance of important nutrients and natural hormone-balancing botanicals, Thorne Research can give you what you need to feel like your old self. Don't go another day without the support you need for total wellbeing. Order Meta-Balance today. Great service. Easy and convenient to place an order!